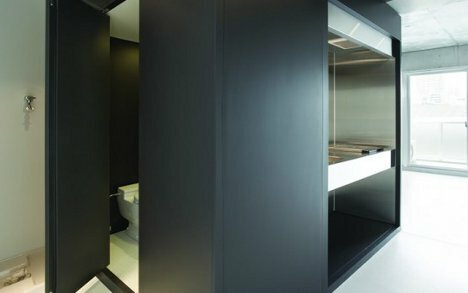 Small-space living often necessitates compromising on style, functionality, or both. 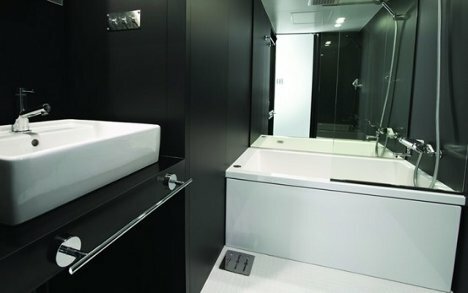 The Subaco line of tiny bathrooms from Japanese company Spiritual Mode is rich in style but doesn’t skimp on function – and manages to cram it all into an impressively tiny footprint. 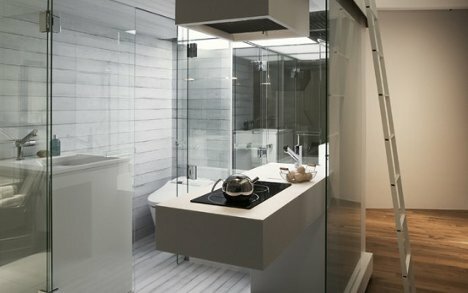 The sub-compact bathrooms can include tubs, toilets, sinks, and perhaps even laundry and/or kitchen facilities in an area no bigger than 2 square meters. 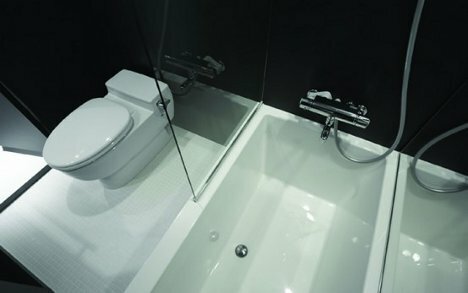 Although definitely not large enough to be considered luxurious, the bathrooms offer just enough room to take care of necessary hygiene tasks. The designers user vertical space in their designs as well. 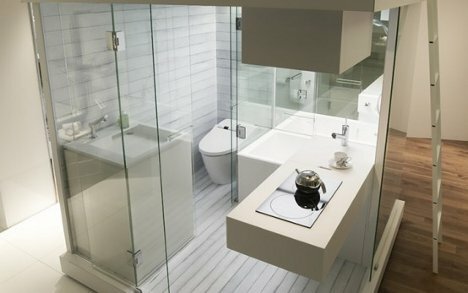 The bathrooms can be lofted to allow for a second level, giving a bit more space (and a fair dose of minimalist design cred) for those essential functions without taking up more precious floor real estate.